Last week L had 2 small projects for me. A twister tablerunner that is just dynamic in her brights with a black border. I want to show you the full top even though this photo is blurry. Sorry! The colors of the fabrics are just fantastic! I gave the border a leafy bud design and the center has a meander. Her second project is a larger wallhanging, about 40″ square. I just love the 3-D pinwheels made with prairie points! She’ll tack them down now that the quilting is done. 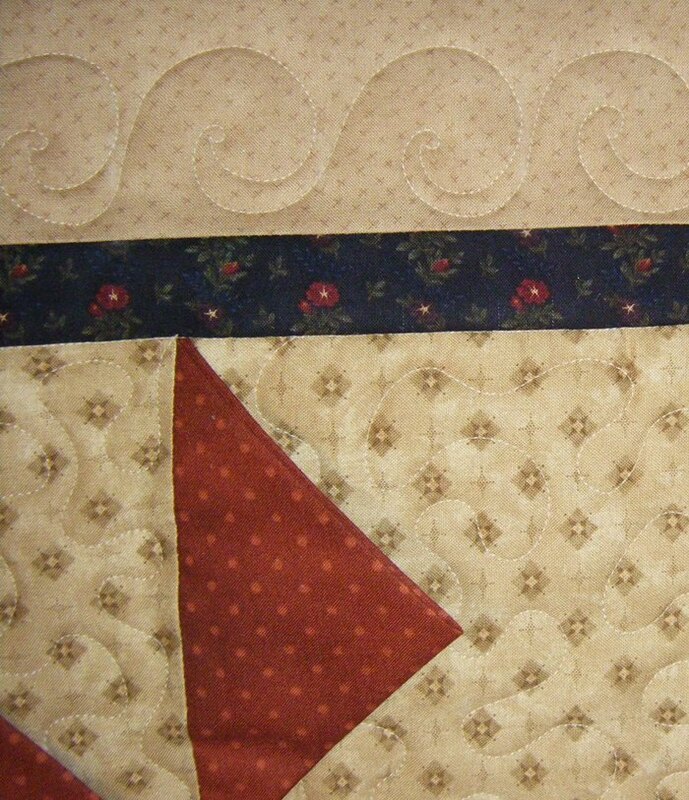 A light-medium density meander in the center helps the pinwheels stand out and I added a circular quilting design to the borders. 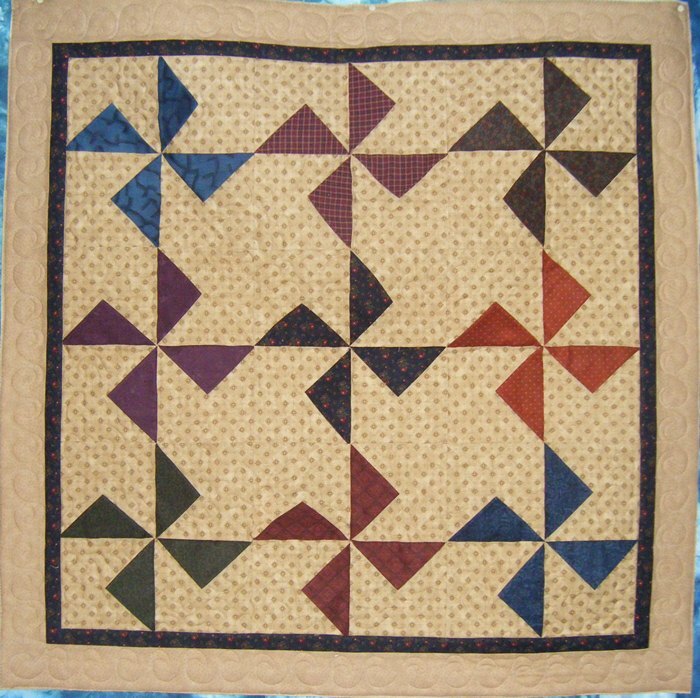 OOOOO, I love the twister quilt colors, and the quilt and quilting! Love the 3D pinwheels too. 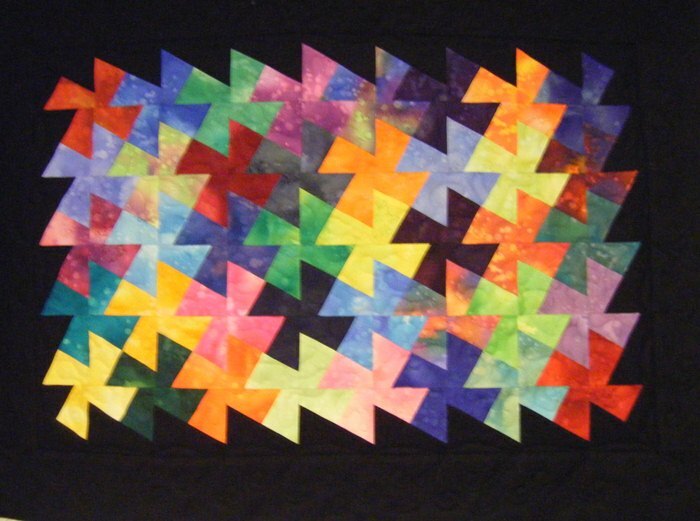 I have a couple 3D quilts I made before I actually got my quilter, and was just a new quilter. They are fun to make, although my pinwheels are a little different. 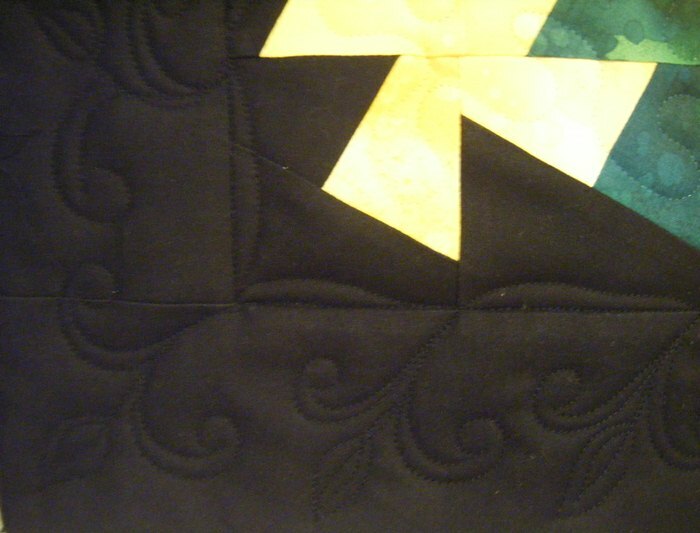 When I sewed down the pinwheels, I just sewed down one edge so they are still 3D.